Leptospirosis is a zoonotic disease caused by the bacterial genus Leptospira. Leptospires are spirochetes, a group of Gram-negative bacteria with long, thin, spiral structures and an internal flagella used for movement. The size of a typical leptospire is around 0.1μm wide and 6-20μm long. This narrow, helical structure enables them to burrow in to tissues, within tissues they may adopt a more spherical or granular appearance. The primary pathogenic strain of Leptospira is Leptospira interrogans, however there are also non-pathogenic strains such as Leptospira biflexa which is an environmental saprophyte (i.e. consumes dead organic matter).There are currently around >16 species of identified Leptospira. Serovars are groups of organisms, categorised depending on the antigens they present on their surface. Therefore if a number of organisms within a Leptospira species share the same antigens on their surface, they will be grouped together into one serovar. Differences in surface antigens occur within the same species for example, within the pathogenic L. interrogans species, around >250 serovars have been identified worldwide. Each serovar is not limited to its primary reservoir host however. They be transmitted to incidental hosts fairly easily. Incidental hosts include humans, dogs and cats as well as other domesticated animals. Different serovars are also responsible for different clinical conditions which can range from abortion to haemorrhagic disease. An individual serovar may also cause different clinical conditions in different species, for example L.interrogans serovar hardjo causes abortion and still births in cattle, but in humans it can cause an influenza-like illness or liver/kidney diseases. 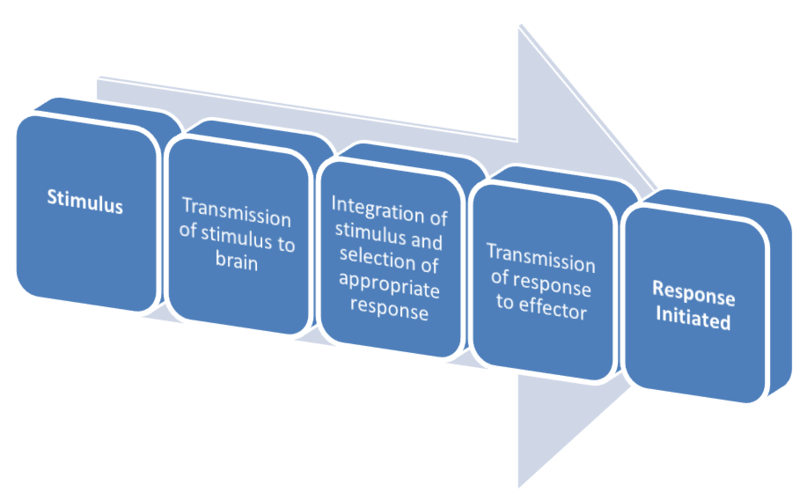 Transmission via indirect contact can also occur. Methods of indirect transmission generally requires exposure to contaminated sources such as; soil, food, bedding or water sources. The bacteria enters susceptible hosts from the contaminated source via damaged skin or exposed mucous membranes such as in the nose, mouth, eyes etc. Leptospira remains viable in the environment (still able to cause infection) for months, this further enhances transmission. The optimal habitat for Leptospira depends on their environment, if aquatic, optimal conditions are stagnant or slow moving waters. If terrestrial, a neutral or slightly alkaline soil pH is preferred. However, organisms may survive transiently in undiluted acidic urine. A typical temperature range of 0-25C is preferred, this often leads to seasonal fluctuations in the incidence of Leptospirosis. Leptospira enters the host by penetrating mucous membranes via vunerable areas such as damaged skin, eyes, nose or the mouth. Their helical shape and flagella aids in tissue penetration. Upon entering the blood system, they begin to multiply rapidly. The presence of bacteria in the blood is called bacteraemia. 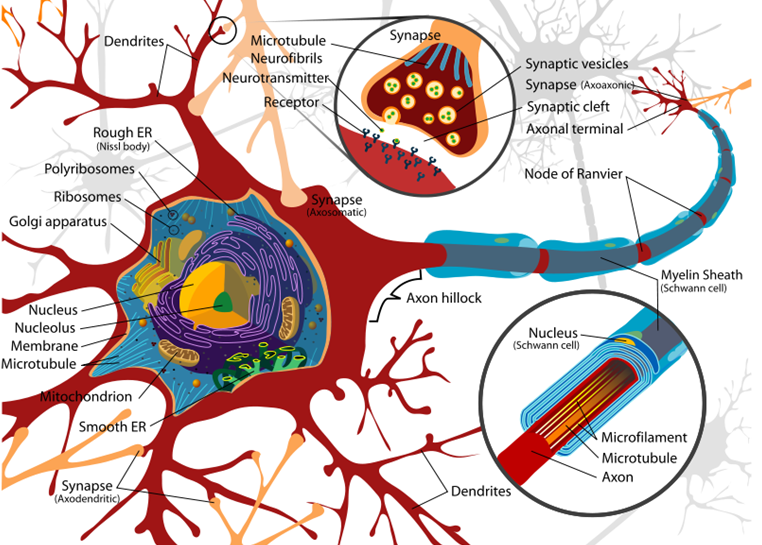 They are then distributed around the body via the blood stream. Once distributed around the body, they then further replicate in target organs and tissues (including the kidney, liver, spleen, central nervous system, eyes and genital tract). The incubation period is around 7 days, this factor depends on the species and the strength of the host immune system however. The initial immune response will usually remove all Leptospira organisms from the blood and tissues but some will persist in the kidney tubules where they can continue to replicate. The Leptospira organisms in the kidney tubules manage to evade the host immune response by avoiding phagocytosis. 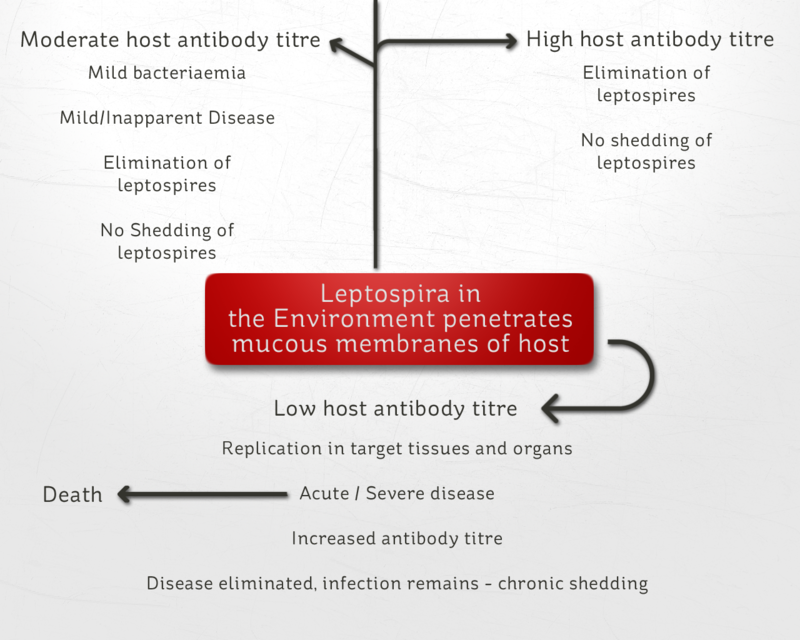 The damage done to the host’s organs and tissues is variable and depends on the virulence of the Leptospira serovar and how susceptible the host immune system is. The most serious of diseases occur in the incidental hosts, i.e. not the primary reservoir host. Detect leptospire antigens – Leptospire antigens will induce agglutination of antibodies. This can be tested using a microscopic agglutination test (MAT). Isolation of Leptospires – Leptospires are isolated from the urine or infected tissues. However this can be very labour and time intensive as Leptospira species are slow to culture using growth medium, meaning it can take weeks before a positive/negative result is returned. Despite this, this method of diagnosis is probably the most reliable. Polymerase Chain Reaction (PCR) – Molecular methods of diagnosis (such as PCR) are gaining popularity for diagnosing Leptospirosis, however PCR is unable to distinguish between serovars. In the UK, a bivalent vaccine is used which protects against two serovars – canicola and icterohaemorrhagiae. In the USA however, a quadrivalent vaccine is used, this protects against four serovars – grippotyphosa and pomona as well the canicola and icterohaemorrhagiae which the bivalent vaccine covers. Some preventative measures are also being taken in cattle to protect against Leptospira borgpetersenii serovar hardjo. The widespread use of these bivalent vaccines may be responsible for the observed decline in classic canine Leptospirosis infections, however this vaccine does not provide cover for other serovars. In the USA canine leptospirosis has been classified as a re-emerging disease due to the increasing amounts of newly diagnosed cases. This may be due to the prevalence of grippotyphosa, pomona and bratislava in wild reservoir species which are spreading Leptospira through the domesticated animal population. This is good reasoning behind the introduction of the quadrivalent vaccine as it protects against these serovars (not bratislava, however cases of bratislava are low).